Climate change has been a growing challenge for many of people living around Lake Turkana in northern Kenya. Hundreds of thousands of them depend on herding cattle and goats, but as the area has become dryer, forage plants for livestock have become increasingly scarce. 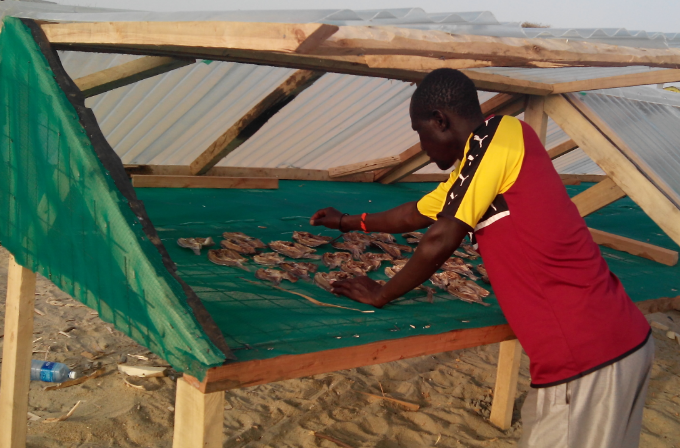 The population living around Lake Turkana – more than 500,000 people in all – needed a new source of food and income. The obvious choice was the lake itself, and with the Kenyan government’s encouragement, more people in the region turned to fishing. But without a strong fishing tradition, they improvised as well as they could by using the beach for their fish-drying practices. They started drying their day’s catch on piles of leaves, but that left the fish exposed to sand, beetles and disease-causing microbes and rendered as much as 30% to 40% of the catch unusable. So, Oscar Donde, a hydrobiologist from Kenya, collaborating with researchers from Kenya Marine and Fisheries Research Institute, came to help – and for this work, he has won a new award from the Elsevier Foundation and TWAS.